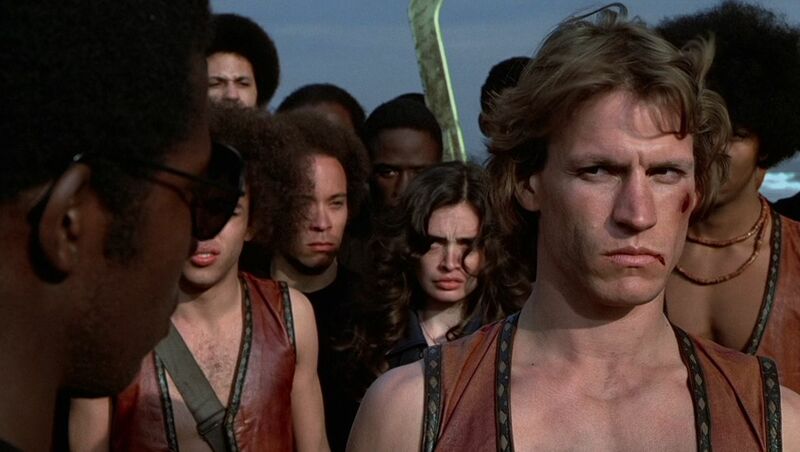 From The Warriors (Paramount 1979). It’s based on Xenophon’s Anabasis—really! Picture this. You’ve been laboring over introductory ancient Greek for a full six months, and you’re starting to empathize with those ancient rowers chained to the bottom bench of an Athenian trireme. There’s still snow on the ground and the sun is setting at 5.50 PM. Baseball opening day is almost a month away. You shuffle into your early morning class on the 4th of March, and at the start of the hour your Greek teacher yells….”HAPPY EXELAUNO DAY!”. If you’re lucky, the instructor has brought cupcakes along. Or better yet, she or he absolves the students from some usual ordeal, such as writing the principal parts of highly irregular verbs on the blackboard to general ridicule. You see, ‘exelauno‘ is a pun. One of the meanings of the Greek verb exelaunein (that’s the infinitive form) is “to march forth”. 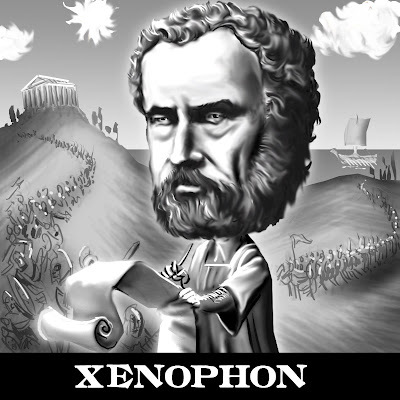 It’s particularly common in Xenophon’s Anabasis, a masterpiece of early fourth century BC prose that’s one of the more gripping first-person military narratives that has come down to us from any age. And since “march forth” sounds just like “March 4th”…well, it’s not hard to see the point of the joke. These days, lots of classics folks at all levels of study in North America acknowledge the “holiday”, to varying degrees. But who first came up with this idiotic incredibly clever and witty addition to the classicists’ calendar? Clarence W. Gleason was an impressive scholar who is one of a very select group of secondary school teachers to earn an entry in the (essential) 1994 Biographical Dictionary of North American Classicists edited by Ward W. Briggs and his electronic Database of Classical Scholars. A member of the Harvard College class of 1888, Gleason taught in the Boston area for a full 50 straight years (1889-1939)—all but seven of them at Roxbury Latin. He never took a sabbatical. Gleason authored or co-authored ten widely-used texts on Greek and Latin for course use, nine of them in the period 1894 to 1905. These included The Gate to the Anabasis (1894), the Cyropaedia of Xenophon (1897), and Greek Prose Composition (1905). From 1907 until his retirement in 1939 Gleason served as associate editor for Classical Journal, for which he penned dozens of short entries. He also spent a year leading the Classical Association of New England as its President (1924-1925). For the school year 1932-1933 he was Acting Headmaster at Roxbury Latin. And let us not forget Gleason’s teaching of Xenophon. His institution of “Exelauno Day” on March 4th became in his lifetime a Roxbury Latin tradition, and has spread from there throughout the United States—with spirited celebrations, for instance, at Southwestern University in Georgetown TX, or by any number of chapters of Eta Sigma Phi, the national Classics honor society. How could this all be so? John Moynihan of the Swampscott Patch has told the story better than anyone. “On March Fourth every year, [Gleason] decreed that there be no homework for students of Greek and established it as an annual Greek and Latin declamation day. David Taggart Clark [Roxbury Latin class of 1889, Harvard class of 1892], professor of economics at Williams, endowed declamation prizes which students have eagerly competed for on March Fourth since 1957.” Roxbury Latin students have been so ubiquitous in the world of Classics that it was just a matter of time before the school’s time-honored March 4th festival caught fire elsewhere. So now you know—more or less! You can watch the March 4th 2013 Roxbury Latin School ‘Exelauno Day’ declamation proceedings in their entirety here; the 2014 festivities here; and 2015 here. Plus: 2016 here; 2017 here; & 2018 here! Thanks for this great story. FYI—Boston Latin predates Roxbury Latin by a decade. And it’s public, and co-ed (though only since 1972). Alston Hurd Chase continued this tradition at Phillips Academy.. I was a student there in the Sixties, and we always had a holiday on March 4. We all remember that monotonous repetition at the beginning of each episode, “Then they marched forth…” I do have to admit that I’ve forgotten how long a parasang is.